On Tuesday I left work early so I could head over to Cotham. I popped into the Deco Lounge for a quick lunch (I was so hungry and after trying to think of somewhere near to the salon that I hadn’t been to before, I ended up in Deco because I knew I could get online!) then headed to the salon just up the road to meet with Laura from DaisyChainDream and Emma from Aussie. 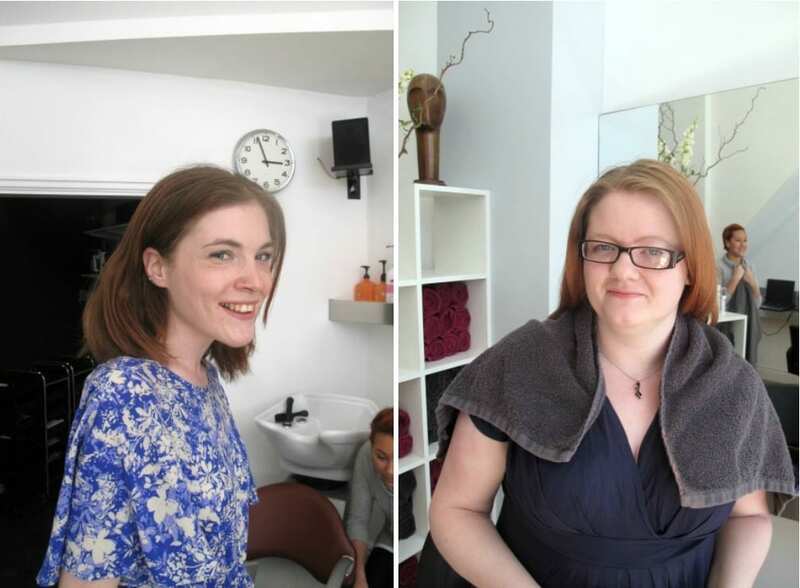 Laura and I were being treated as part of the Lusciously Light celebrations – thats what all the wiggy fun has been about recently, trying to help us decide what to do with our hair. 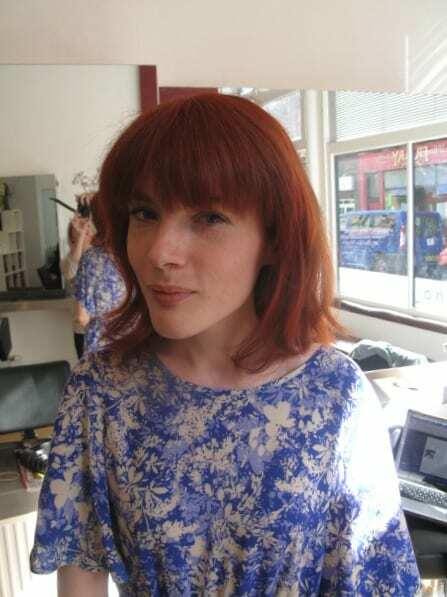 Laura went for a gorgeous reddy colour, it looks even better in person! And me after! 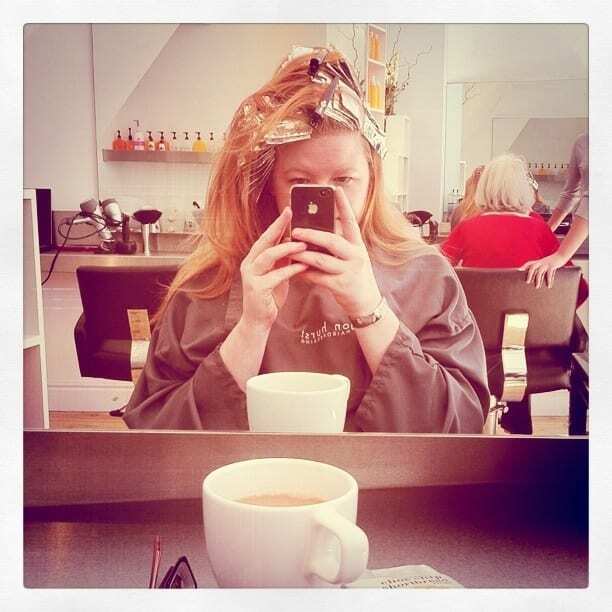 I had a lot of foils done to lighten my hair, then an ashy blonde put on the inbetweeny bits. I didn’t realise how heavy it would be! I’m so pleased with how it turned out! Ruth (my stylist) did an awesome job with my hair. 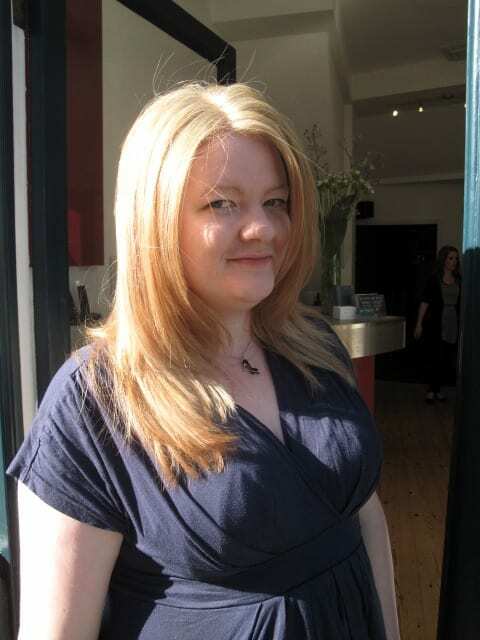 If you’re in Bristol, I would absolutely recommend Jon Hurst Hairdressing on Cotham Hill. 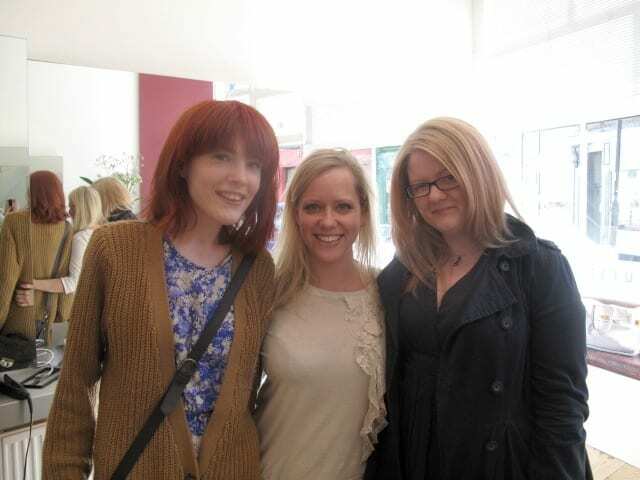 Heres Laura, Emma and I afterwards! We went to one of my favourite bar/restaurants, Goldbrick House (I ended up going there on Wednesday as well, thats bad isn’t it?) for delicious cocktails. What do you think of our hair then? Looking gorgeous girls! The blonde looks fab Hayley! Love that photo of you, Laura and Emma. Love the new look! Laura’s looks fab too, I’m really tempted to cut all my hair off and dye it a random colour, I’m far too impulsive when it comes to hair! You look really good. I would totally go for any Veronica Mars hairstyle (she had quite a few, didn’t she?) if blonde suited me but turns out it doesn’t. Not sure about the Sarah from Chuck look. She’s pretty but her hair’s just lank and boring most of the time. You look Really good!! Love that photo of you.